Restaurants around the country are transforming this game-day snack into a culinary delight. Here are some of our favorite places to get chicken wings. 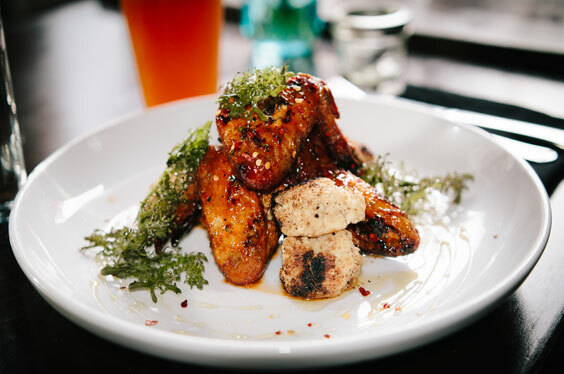 Inspired by Southeast Asian cuisine, Khong River House serves their chicken wings fried golden brown and tossed with roasted chili sauce, garlic, vinegar, and spices. Khong River House boasts a multicultural culinary team, which gives the wings a unique Asian twist, and is located just steps from Lincoln Road, a Miami Beach tourist hotspot. 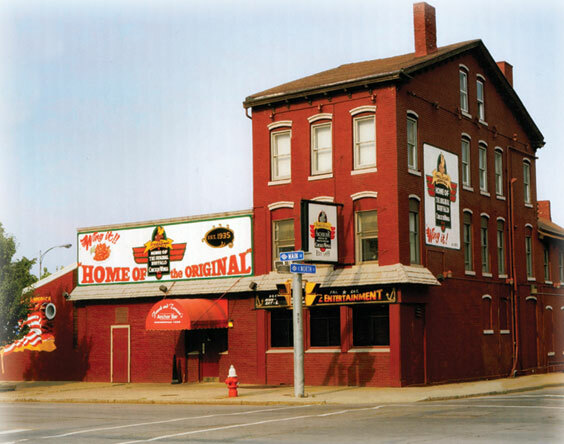 In business for 50 years, Anchor Bar is home to the original Buffalo chicken wing. It all started in 1964 when Teressa Bellissimo deep-fried a couple wings and tossed them in a secret sauce for a few late-night customers. Today, the popularity of the buffalo wing has spread throughout the globe, but no one has touched the secret recipe that started at Anchor Bar. The two founders of Pluckers Wing Bar had a simple goal when they set out to launch their business: offer good chicken wings. The venture began in 1991 when they got a craving for wings but found no restaurant that sold them on their college campus. 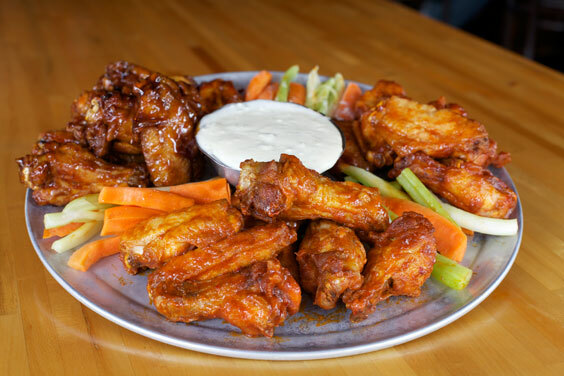 After many hours in the kitchen and several years of hard work, Pluckers has become a staple for wings and a local sports bar favorite. In a region where seafood reigns, Sweet Cheeks offers Southern comfort in the form of chicken wings. Tiffani Faison, head chef at Sweet Cheeks, aims to impress with her Monster Wings, which are brined with sugar, salt, anise, and fennel seeds. Then, these scrumptious wings are slowly smoked over white and red oak. As the seasonings melt, the wings develop a mouthwatering caramelized crust. Sweet Cheeks also offers three dipping sauces—house-made barbecue sauce, North Carolina vinegar sauce with chili flakes, and a weekly rotating sauce. Started by a husband-and-wife duo, Honey’s Kettle has been serving chicken wings sourced from high-quality ingredients since 2000. Each wing is hand dipped in a made-from-scratch batter. Head chef Vincent Williams has been frying chicken for more than 40 years, and his experience shows in the fresh taste of his chicken wings. In true Southern fashion, Seven Sows’ wings are grilled, then smoked over pecan wood and brought to a golden deep-fried crisp. You’ll find nothing but honest flavors at this Carolina restaurant. Tossed in an Alabama barbecue sauce, these wings pay homage to a long tradition of simple, good Southern cooking with a modern twist. 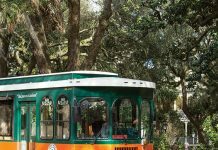 Start off with a plate of buttermilk hushpuppies to round out the meal. You can’t miss the red sign with Hattie B’s written in vintage script. The wings here are marinated in buttermilk, breaded, and drenched in a sauce heavily spiced with cayenne pepper. 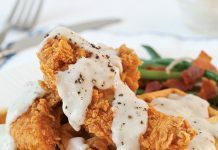 Hot chicken—a specialty of Nashville, Tennessee—has taken the region by storm and has become a signature flavor of Hattie B’s. Make sure to save room for their savory sides, too. Serving up fall-off-the-bone wings smothered in sauce, The Kettle Black gives a strong nod to down-home comfort food. 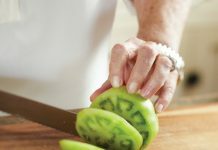 Their sauce recipes include Tangy Tennessee Whiskey, Hickory Smoked BBQ, and Honey BBQ—just to name a few. 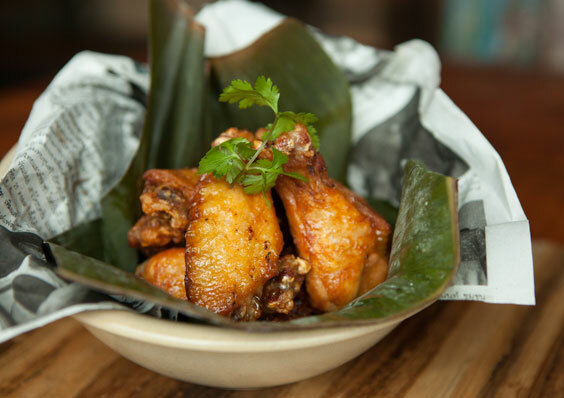 Pull up a stool at The Kettle Black and you’re likely to make a friend or two over a heaping plate of wings. You have your pick of three types of wing flavors at this Capitol City eatery—Jerk, fragrant Asian, and classic Buffalo. Underneath the sauce, though, you’ll find juicy twice-fried wings. Owner and chef Kyle Bailey started ChurchKey with the intent to create a casual dining experience with flavorful food—and he accomplished it. Make sure to ask for the special Frankenbutter sauce with your order! 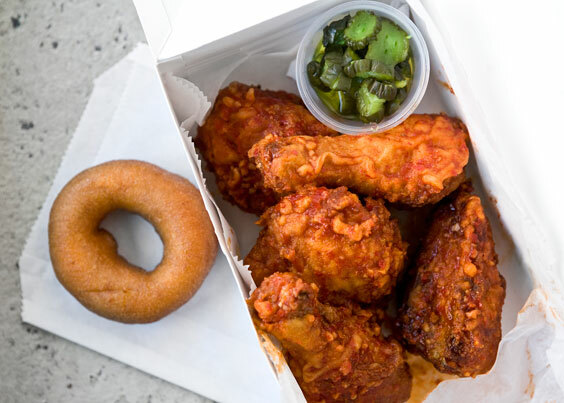 Along with a hardy serving of twice-fried chicken wings smothered in chili-garlic or honey-ginger glaze, you’ll get something sugary on the side at Federal Donuts. Since 2011, Federal Donuts has made a name for itself by combining the unlikely—doughnuts and chicken wings. Each order comes with a side of Japanese cucumber pickles and a honey doughnut.